Currently, energy harvesters are designed specifically for the requirements of each application, and generally operate only over a small bandwidth. 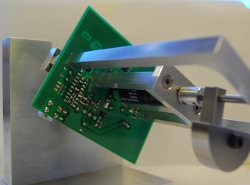 Making harvesters which are adaptable and can achieve high power over varying operating conditions requires research into both electrical and mechanical self tuning mechanisms, and methods for varying electrical damping. This forms the basis of Theme A. Our aim is to advance the state-of-the-art in micro-generator design by developing devices capable of adapting their resonant frequency and damping to achieve for the first time 'broadband and resonant' energy harvesting, thereby making a step-change in average power density. We aim to achieve a 1 cm3 generator optimised to work in the middle range of typical harvester frequencies (100-1000 Hz), which consistently operates at resonance but tracks the source frequency over a large fractional bandwidth. We will also investigate dynamic adaptation of transducer damping strength to match varying source characteristics. The availability of such dynamic adaptation creates the opportunity for closed loop control, which will be part of the interface circuit and subsystem design tasks within this theme. Find out more about Theme A's research into power conversion for future energy harvesters by reading our 'research explained' article. This also contains a video by Dr Bernard Stark (University of Bristol) explaining the technology. The goal of Theme B is to investigate energy-harvester-aware design methods for computational logic that is capable of working with variable and unpredictable energy sources. It will radically advance the state-of-the-art in ultra low power design and expand it into the area of power-adaptive electronic and computing. a specific computational unit, a processor (asynchronous, and synchronous), for demonstrator prototypes. 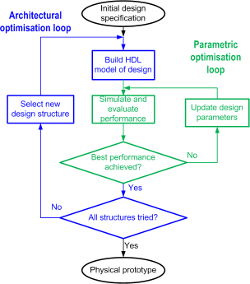 Comparison of synchronous and asynchronous CPU designs and validation of proposed energy harvester-aware design techniques. The basis of Theme C research is the development of a novel, automated design flow methodology for energy harvesters which will be implemented in a prototype CAD tool. An energy harvester is a system consisting of several components from different physical domains, including mechanical, magnetic and electrical, coupled with external circuits which regulate and store the generated energy. It is crucial to consider the various parts in the context of a complete system, or else the gain at one part may come at the price of efficiency loss elsewhere, rendering the energy harvester ineffective. Furthermore, the close mechanical-electrical interaction that takes place in energy harvesters, often leads to significant performance loss when the various parts of the energy harvesters are combined. To date there has been no reported design flow for energy harvesters. 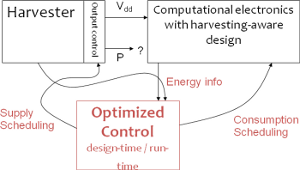 The design flow developed in Theme C will enable modelling, simulation and automated optimisation of all the components of an energy harvester system together and in systematic manner. Find out more about Theme C's research into plug and play energy harvesting systems by reading our 'research explained' article. This also contains a video by Dr Alex Weddell (University of Southampton) explaining the technology. Find out more about Theme C's research into efficient energy harvesting from photovoltaic cells by reading our 'research explained' article. This also contains a video by Dr Geoff Merrett (University of Southampton) explaining the technology.